by one of the best. 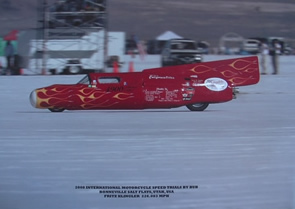 has over 30 years experience building race engines for Harley motorcycles, setting over 9 Land Speed records, still holding two at Bonneville Salt Flats over 228 MPH. 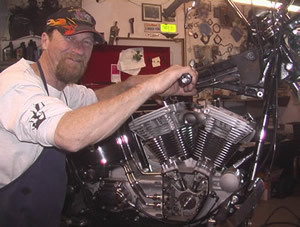 with a single engine Shovel Head on pump gas. 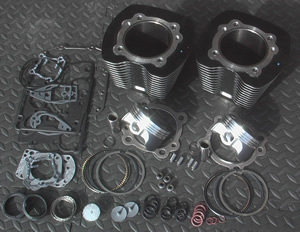 Specializing in Big Bore Kit installations, for Twin Cam, E-V, Shovelheads & more. Most Parts in stock, or shipped in one day. How fast do you won’t to go? Up to135 cu. in. motors. Cams & pushrods without removing the engine up to 95 cu. in. with little or no machine work. Using your Cylinders & heads. Or a complete change over Kit.